In the morning I awoke to a howling gale, with the wind so loud in my ears that I was sure my bedroom roof would be ripped off and tossed to the elements. 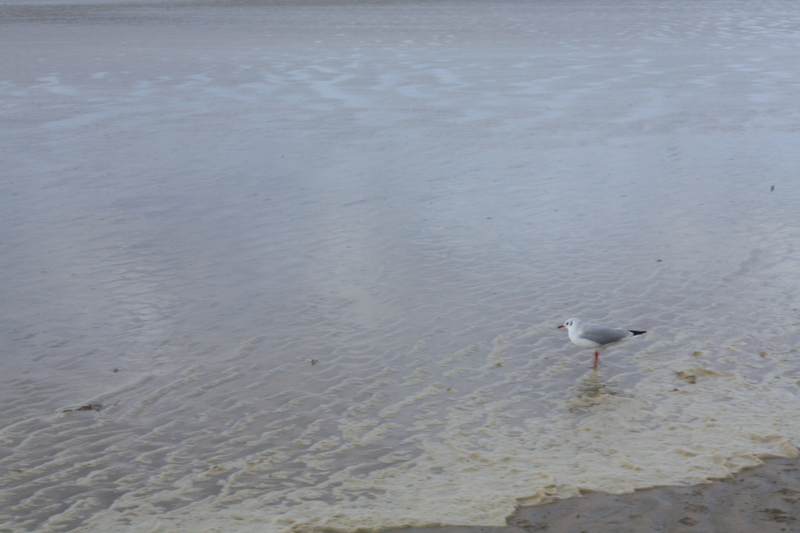 Heavy raindrops lashed against my window and outside the sea was frothy mess of turbulent waves and salty foam. 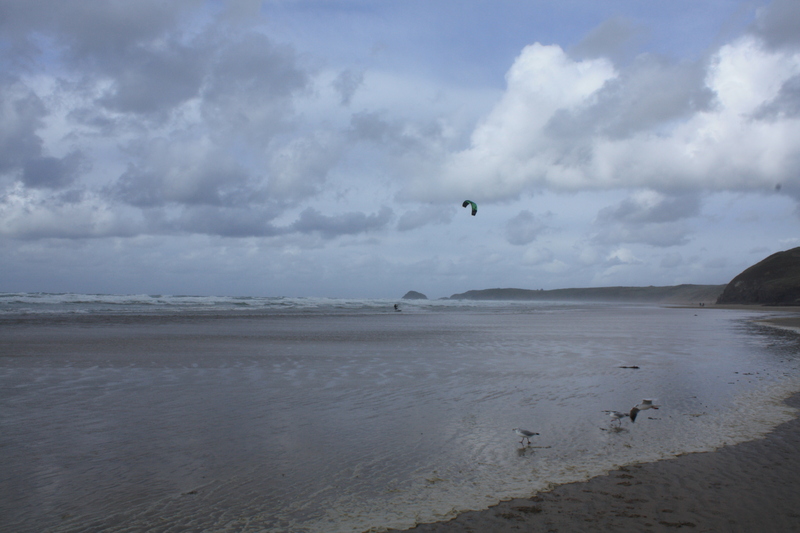 The infamous Cornish weather had arrived. 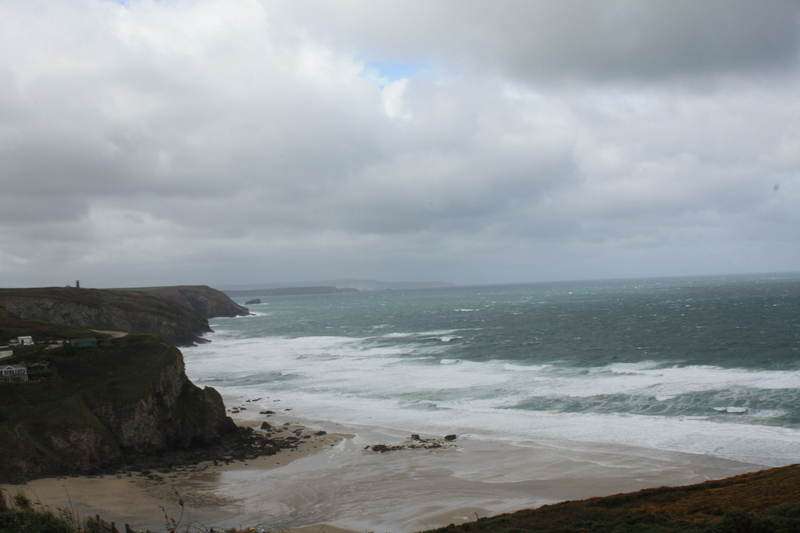 It certainly wasn’t much of a day for walking, I stepped outside to take some photos and was almost blown over by the furious wind, though I did briefly wander out to the headland to catch a few shots of the wild coastline. However eventually the consistent sound of my room creaking and groaning was too much to bear and I had to get out. Fortunately as well, by this time in the afternoon the weather had devolved into a consistent repeat of sunshine and showers. Ever since my ill-fated trip to the Steall Falls (see here) during which I got extraordinarily wet, I’ve learnt to always be prepared against the likelihood of heavy rain showers. So before we left I quickly geared up with a waterproof coat and trousers, as well as a pair of heavy walking boots. Ready and prepared, we set off to the nearby Perranporth Beach. 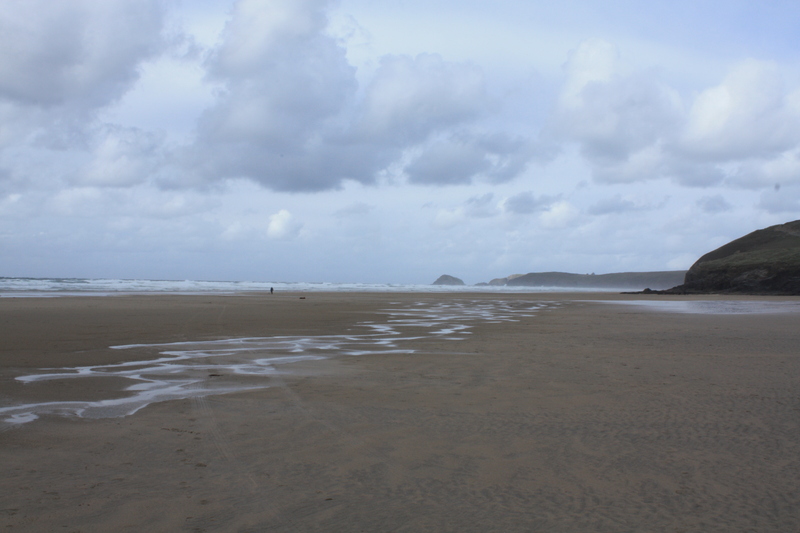 Although the beach itself is pretty vast, some 3 miles long, we didn’t have time to explore the majority of it, which was a shame as the Oratory of St Piran lay somewhere among the sands. Nevertheless I got some fairly fine photos of the beach and the continuing wild weather, I was constantly having to cover my eyes as sand was blowing relentlessly into my face. After that, I still had some time to spare so I decided to wonder up to the nearby cliff tops. 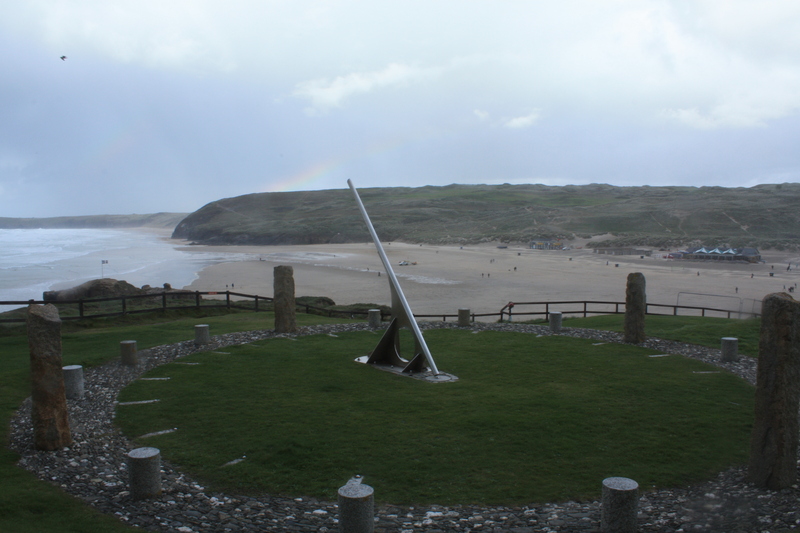 There, I happened across the Perranporth Sundial and while sitting there a noticed a faint rainbow in the hills beyond. With the sun now shinning and the rainbow in the distance, it was a rather becalmed scene. Then the hail hit me. 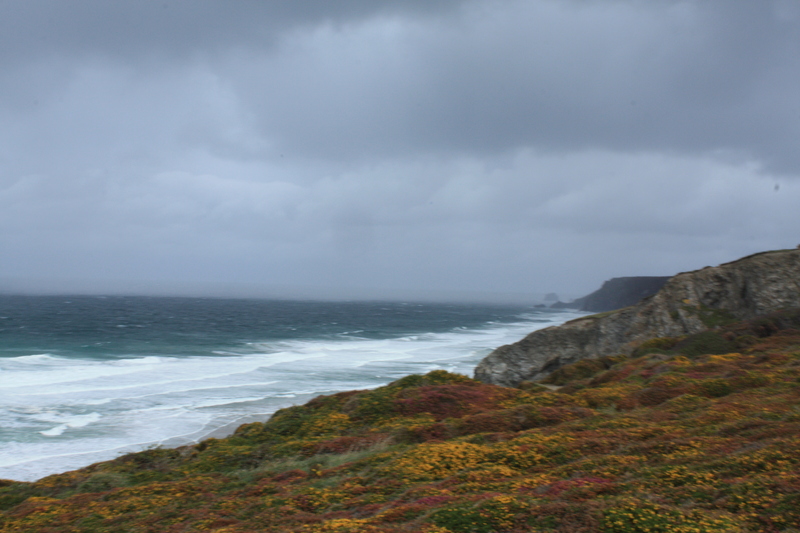 Suddenly I was running back down the coastal path to shelter, as I was pelted with hailstones. Though I was ever grateful for my waterproof clothes, which kept the worse of the wet out, I hadn’t prepared myself to be attacked by thousands of little stingy ice balls, so I bravely made a hasty retreat back to the car. Right now I’m lying in bed and still my bedroom is loudly creaking and groaning as the wind rattles through. I can only hope that sleep will come soon for me and that this weather will go away too. Looks similar to the weather I ran into in Wales! so beautiful! 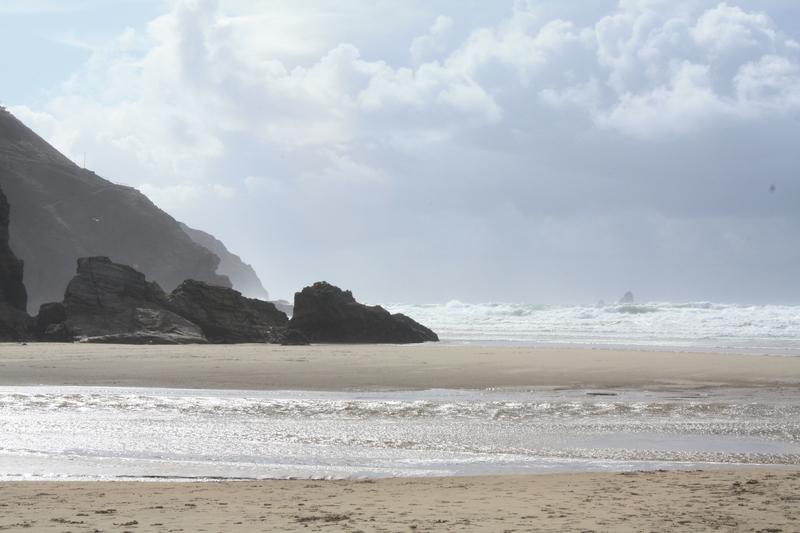 next time i’m in england cornwall’s first on my list!